Labeling is possible from all sides on plain surfaces, cylinders resp. corner-wrap. 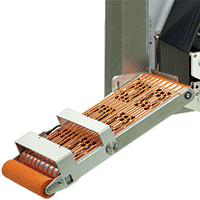 The vacuum belt applicator is positioned in front of the peel-off plate. The printed label is transferred by the vacuum conveyor belt to the demand position and labeled on the packaging by an external signal. 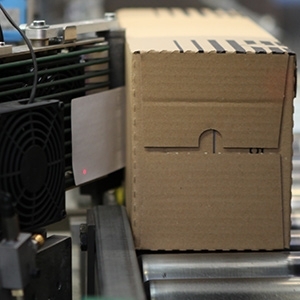 Insights into the labeling of battery packaging. The product speed must be higher than the vacuum conveyor belt speed.